The Overview: Princess Eadlyn has grown up hearing endless stories about how her mother and father met. Twenty years ago, America Singer entered the Selection and won the heart of Prince Maxon—and they lived happily ever after. Eadlyn has always found their fairy-tale story romantic, but she has no interest in trying to repeat it. If it were up to her, she’d put off marriage for as long as possible. But a princess’s life is never entirely her own, and Eadlyn can’t escape her very own Selection—no matter how fervently she protests. Eadlyn doesn’t expect her story to end in romance. But as the competition begins, one entry may just capture Eadlyn’s heart, showing her all the possibilities that lie in front of her . . . and proving that finding her own happily ever after isn’t as impossible as she’s always thought. The Heir is one of the few titles that was a non-negotiable “I have to read it the day it comes out” type of book, as I’d been geeking out about it since it first cross my radar in late 2014. 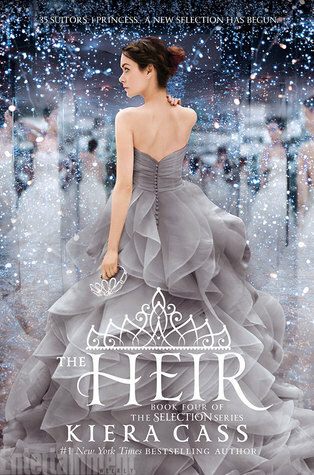 Thank goodness for nook digital downloads at midnight, because I was able to dive right in at 12:01 am (sleep be damned, it was SO worth it – The Heir was every bit as wonderful as I’d hoped it would be). It almost seems irrational to me how excited I was, but The Selection was such an experience, and it really hurt my heart to see it come to an end. I can’t describe the joy I felt when I realized I got to visit that world again, and with Maxon and America still around to boot! That might sound soooper cheesy, but I don’t care – I freaking love this series! In America’s journey, we only got to see her side of things, and I always wondered how the process was for Maxon (in fact, one of my favorite moments was in The Prince novella where we got to experience their first meeting through Maxon’s perspective). It had to be difficult for him to juggle all of those girls while trying to make a decision that’s best for both his country and his heart. Even though we got the best bits, we missed out on a lot of the details that I’m sure I would’ve found fascinating. What this new story did was allow me to become completely immersed in the process… and I ate up every page. It was so much fun seeing all of the boys interact with Eadlyn, and I had a blast trying to psychoanalyze all of them to figure out which boy would be the best match for her (which I didn’t get to do with America’s journey because, Duh! – she was totally the best match). The fact that Eadlyn didn’t want anything to do with the selection process bugged a few of my friends, but it didn’t bother me too much – I knew the boys would eventually start to win her over. That’s another thing I liked – that Eadlyn was definitely her own person and a very distinct character from America (although you could see many similarities in their personalities – they are both stubborn and resilient people… the apple doesn’t fall too far from the tree). I also loved that America and Maxon were heavily involved in The Heir and maintained the same personalities we fell in love with in the first trilogy (it’s a pet peeve of mine when parent characters we met as children morph into a “parental” mode and lose all personality. That definitely did NOT happen here – Yay!). There was also a neat dynamics between Eadlyn and her siblings, who added a ton of depth and charm to the story – I’m definitely looking forward to reading more about them. My biggest criticism of the first trilogy was the world building/external conflict. I thought it was nowhere near as well developed as it could have been (although the things the author did well were so awesome it almost didn’t matter), but am happy to report that I think this time around the world building was a little stronger. 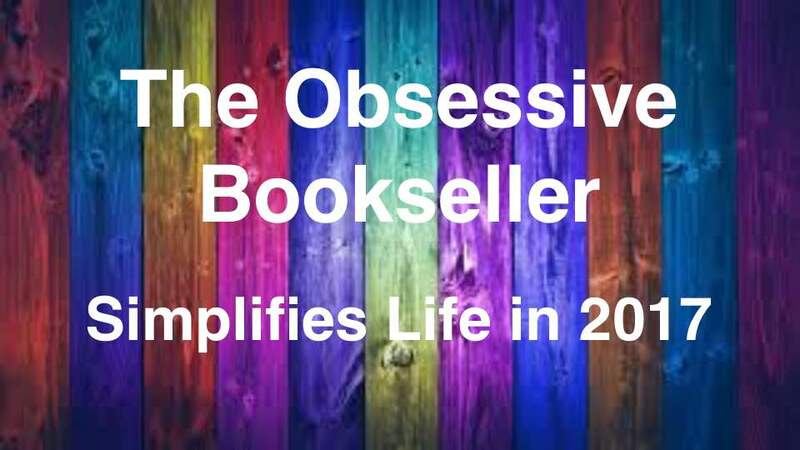 Similarly, I caught a few plot holes within the first few books, but all the ones I thought I caught in this one the author eventually addressed – awesome! Ack! I really hate it when that happens! I’m still searching for some of the ones I can’t remember the title for lol. Great review. I didn’t enjoy it as much as the Selection but more than the other two. What did you think of Henri, for some reason I really don’t like him. Thank you! You know, a coworker and I had a huge discussion about Henri, and I think we figured out why he wasn’t as compelling as he could have been. We as readers get a ton of information about a character through their dialog, primarily how old they are and how intelligent they are. Because Henri was accented and couldn’t speak English, it made him come off childish and a bit simple. Some ideas just don’t translate to book as well as they would TV. I bet if we could see him standing in front of us – a really handsome and charming foreign boy – we would have liked him. As it is, all we have to go on is how he communicates and how Eadlyn feels about him. Im kind of giving him the benefit of the doubt, but the dialog really did screw up any emotional connection I may have had to him. I cannot remember his name but the one who lives at the caslte, Kyle is it? Which one are you rooting for? I get what you mean about Henri, I just don’t trust him, not sure why. ye but i think it’d be a cop out if she ended up with him. don’t really want her to end up with the guy who just wants a comfy life, the rest i cannot remember. I agree with Eric as a choice: seems like a cop out to me and while I really like him, I would be disappointed if he was the final choice. I like them as friends (YA needs more platonic male-female relationships if you as me). I really like Eric and normally I would root for him because he ISN’T part of the competition. Their relationship reminds me of America and Aspen’s–so I see them more as friends. I can’t wait to read this. Loved your review! Thank you!!!! I hope you like it as much as I did! I makes me fangirl like nothing else can haha. This book was so addicting! You’re right: there is something about watching Eadlyn trying to pick her perfect match that is much more compelling than watching one girl compete in a group of girls! I have no idea who she is going to end up but I definitely have my picks. I was so torn between liking and getting annoyed by Eadlyn. She was so bratty to me though I loved her desire to be independent in terms of politics. Glad she had a little awakening at the end.